I saw this quote today, and it got me thinking. We often view travel as an escape, or a way to avoid the realities of life. We hear these types of stories all the time. Hate your job? Quit and throw your stuff in a backpack and hang out in Europe for a while! Want to avoid sitting in an office all day? Move to Mexico and become a fisherman! Not that there’s anything wrong with that, and not that there isn’t a certain amount of truth to the idea that travel is a way to avoid the mundane doldrums of day to day existence. But that’s not how it works for everyone. For some, extended travel is actually a very well thought out piece of the puzzle. It’s part of the plan, not a way to avoid planning altogether. 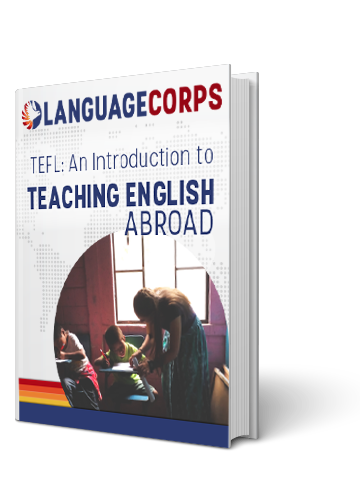 I see this often when talking to recent college graduates, and it always impresses me to hear from young people who are thinking about teaching English abroad as the first step in their career. Rather than entering a competitive and somewhat stagnant job market in the US, many grads figure that spending some time working abroad and gaining valuable international experience is a better use of the first few years after school. The adventure is kind of an added bonus. I see it with older people too. I’ve heard from people in their 40s, 50s and beyond, who plan to teach abroad for six months or a year before returning to their careers in the US. It’s a well thought out “mini retirement,” almost like a sabbatical, rather than a whimsical adventure. It’s an interesting thought, viewing travel as part of a larger plan. As a way to accelerate ones path from point a to point b, clarify and strengthen goals, and ultimately come closer to the things that really matter. Living abroad doesn’t mean that you have to spend the rest of your life sipping milk out of a coconut on the beach (though you can if you want!) So keep that in mind as you contemplate your plans for the future, and how teaching abroad might fit into your path.